If you enjoyed reading The Book Thief and The Boy in the Stripped Pyjamas then this new historical book will sure to please! 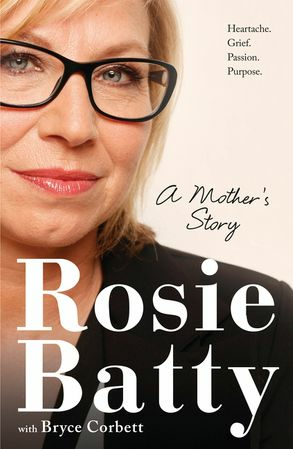 A profoundly moving and inspiring memoir from Australia’s domestic violence crusader and former Australian of the year, Rosie Batty. Rosie Batty knows pain no woman should have to suffer. Her son was killed by his father in a violent incident in February 2014, a horrendous event that shocked not only the nation, but the world. Greg Anderson murdered his 11-year-old son Luke and was then shot by police at the Tyabb cricket oval. Rosie had suffered years of family violence, and had had intervention and custody orders in place in an effort to protect herself and her son. She believes the killing was Greg’s final act of control over her. Since the events of last February, Rosie has become an outspoken crusader against domestic violence, winning hearts and mind all over Australia with her compassion, courage, grace and forgiveness. In the wake of the tragedy, Rosie’s advocacy work has forced an unprecedented national focus on family violence, with the Victorian Labor government establishing Australia’s first royal commission into family violence, and committing a further $30 million over four years to protect women and children at high risk of family violence. The then Victorian Police Commissioner Ken Lay called it ‘the Rosie Batty factor’. In January 2015, Rosie was named Australian of the Year, 2015.